Today is a big day in Thailand. Just hours last evening I have a talk with a Thai fellow who is working for government. He said that his role is to research and report about demonstrations in Thailand to the Senate. Then he noticed that he would be very busy on tomorrow (today) as there would be 5 mass prathuong (the Thai word of protest) in different areas. I can just realize how big is it until today I’ve been experiencing lot of Twit Twit sound (most of Thai protesters are equipped with a whistle) all the day from my apartment where is about 1km away from Asok BTS. This place is one of the favorite places of protesters. There were a few times in the past but I’ve never heard anything from my place. It’s not today! My friends and family have asked frequently me if I’m still ok in Bangkok these days. 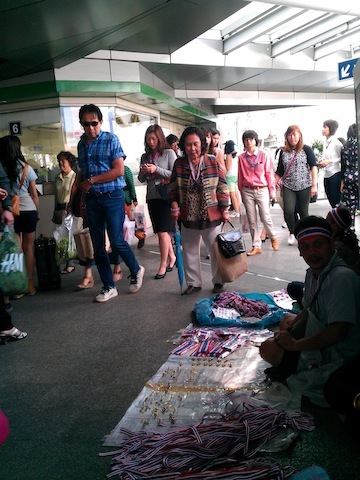 Some of them show their concerns about the business space in Thailand. I would wonder about these topics too. So today I’m digging a little bit further to find more data on how has it effected to Retail, eCommerce and Tourism industry in Thailand. The weather is hot! And not all people have aircon in their houses. Especially at weekend when people are not at office with cool air. Girls often feel lonely if they are not in a group. 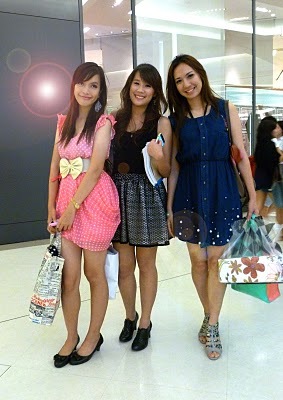 So they love to gather together and shopping mall with lots of lucrative spots is definitely a great destination. Eating-out habit, yes perhaps more than 50% of Thai people in Bangkok prefer to eating out instead of cooking and eating at home. Shopping malls always go with food court, restaurants and lots of cuisine options. Sabai Sabai or “Relax, enjoy life” is a popular concept in the Land of Smiles. This could also be a reason why Thailand is so well-known as a travel destination. But I should write another separated post for this stuff. To enjoy life you should find and buy something you like or sth make your life easier and more comfortable. I think Indonesian shoppers could have a compassion for most of these reasons with their Thai counterparts. Seneyan City, Pacific Place or Plasa Indonesia in Jakarta are their most favorite places at the weekend. Many of you might surprise to know that the planet’s most Instagrammed place in 2013 is Siam Paragon, one of the most favorite shopping malls in Bangkok. Yes, a shopping mall has edged out the infamous Time Square in New York, Eiffel Tower in the City of Light Paris and the mystery Taj Mahaj of India… It’s an impressive result even though this luxury mall is one of Asia’s largest malls. On the last Sunday, several malls in the shopping and commercial district were closed after anti-government protesters took to the streets and clashed with security officers. 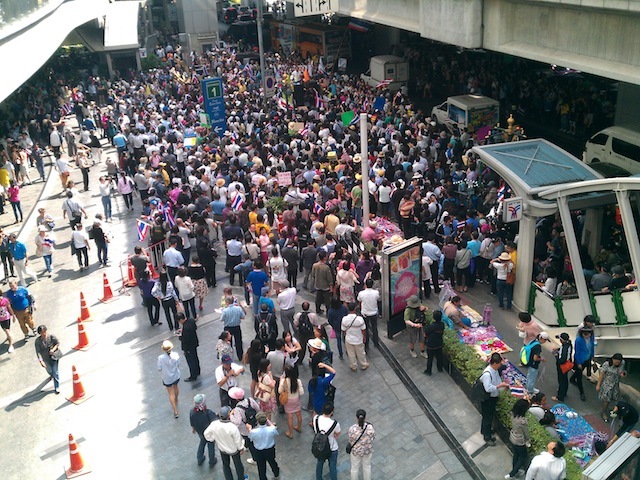 After that Central World, Siam Paragon, Siam Centre and Siam Discovery announced that they are open as usual, from 10am to 10pm, after the situation in the area has returned to normal. Ravenret from Utah, USA: Unless there is a protest right outside, sure they will. Hmmm, they probabbly would open even then as a couple of weeks ago there was a protest on ASOKE and Sukhumvit and didn’t affect Terminal 21 or Robinson’s. I know because I was shopping in both LOL. Treshi Srilanka My friends just returned from Bangkok after a good shopping spree!!! Is it a blow to the Land of Smiles’ Tourism industry? The expat-friendly portal BangkokPost mentioned, [quote]Suchart Liengsaengthong, the Thai consul-general in Kunming, said the 10% decrease in Chinese visitors to Thailand is not a surprise, given how political conflict has escalated in recent months. [/quote] Yes Chinese is the No.1 traveller source of Thailand last year with more than 2.5M tourists. From NationalMultimedia.com “The TAT poll was carried out from November 21 to 28 on a sample of 600 business operators in six provinces, namely Bangkok, Chon Buri, Nakhon Ratchasima, Kanchanaburi, Songkhla and Chiang Mai. As many as 100 firms in each province were asked about their “confidence in tourism and if the political demonstration was having an adverse impact”. As for the impact the political turmoil was having on tourism as a whole, 71 per cent of the respondents in Bangkok said it was very difficult to get around, while 72 per cent of those in Kanchanaburi said it was more difficult to sell their products. Operators in Nakhon Ratchasima and Chon Buri, meanwhile, said costs were on the rise. So what are they doing now to survive? “21 per cent of the respondents in Bangkok are giving away restaurant gift vouchers, while 69 per cent of the companies in the capital are calling on the government to guarantee their earnings if their businesses are hit by the political chaos”. But I think this is an opportunity for eCommerce to attract more online shoppers as there are still demands from customers, and whenever they need to buy something and many of them don’t want to get involved in the turmoil then they could likely buy online more. 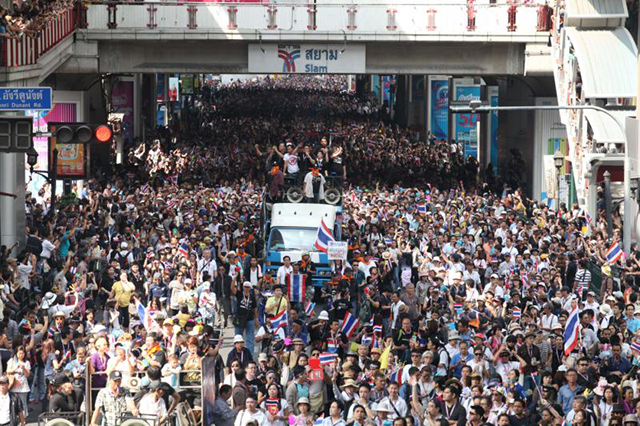 How are the openings of the shopping malls considered a failure of the protest movement and Suthep? As far as I know, these venues were never on the menu to be targeted. That was a Red-shirt tactic that should never be attempted again. Surely we can see couples of motives for people to shop from home. That means those reasons addressed above are not clearly good at their roles now. They can’t really enjoy the sabai atmosphere in the shopping malls as usual. The weather is even hotter while you’re getting to the mall. Meanwhile Thai’s shoppers could really enjoy shopping at home and follow the protest news reported from social media channels while stay away from the chaos.